Home » Posts Tagged "Gilet T."
Gilet, T. (2016). 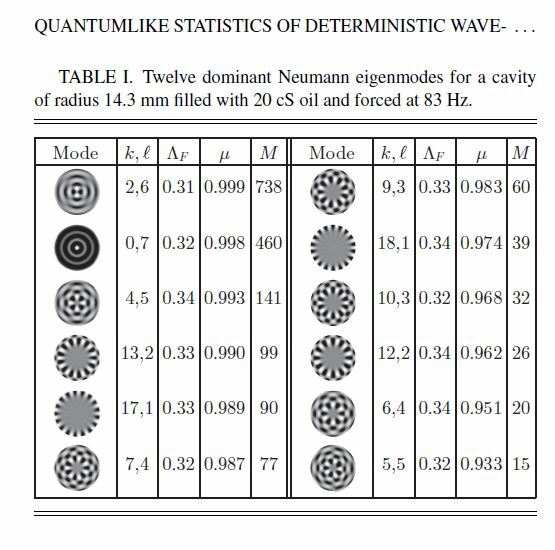 Quantumlike statistics of deterministic wave-particle interactions in a circular cavity. Physical Review E, 93(4), 042202. A deterministic low-dimensional iterated map is proposed here to describe the interaction between a bouncing droplet and Faradaywaves confined to a circular cavity. Its solutions are investigated theoretically and numerically. The horizontal trajectory of the droplet can be chaotic: it then corresponds to a random walk of average step size equal to half the Faraday wavelength. An analogy is made between the diffusion coefficient of this random walk and the action per unit mass /m of a quantum particle. 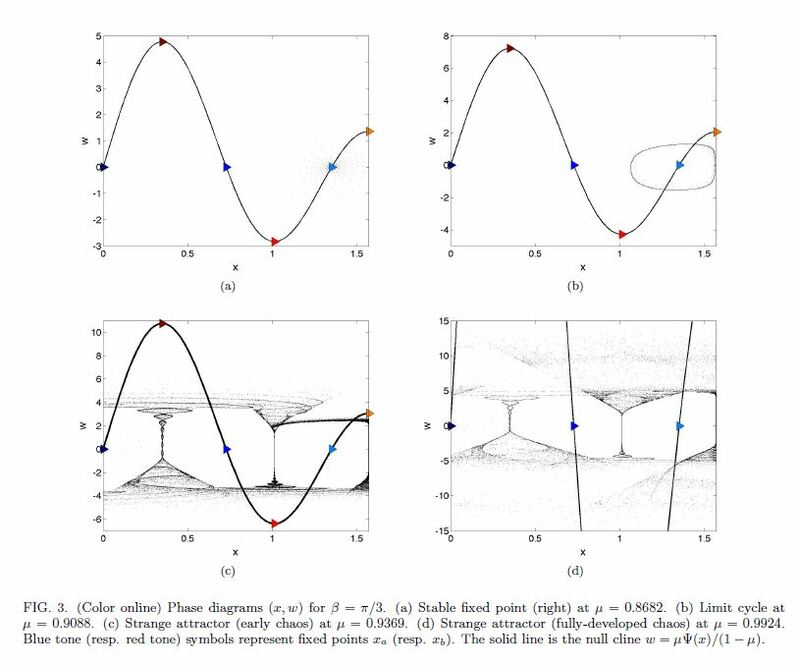 The statistics of droplet position and speed are shaped by the cavity eigenmodes, in remarkable agreement with the solution of Schr¨odinger equation for a quantum particle in a similar potential well. Gilet, T. (2014). Dynamics and statistics of wave-particle interactions in a confined geometry. Physical Review E, 90(5), 052917. A walker is a droplet bouncing on a liquid surface and propelled by the waves that it generates. This macroscopic wave-particle association exhibits behaviors reminiscent of quantum particles. This article presents a toy model of the coupling between a particle and a confined standing wave. The resulting 2D iterated map captures many features of the walker dynamics observed in different configurations of confinement. These features include the time decomposition of the chaotic trajectory in quantized eigenstates, and the particle statistics being shaped by the wave. It shows that deterministic wave-particle coupling expressed in its simplest form can account for some quantumlike behaviors.